The article looks at the initiation and monitoring process involved in giving clinical trials the green light. 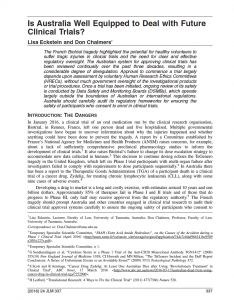 Ultimately, Australian Regulation in the clinical trial space and the responsibilities as delegated between DSMBs, HRECs, and the TGA is remarkably the “light touch”. Dr Eckstein also wrote this on DSMBs a few years prior. 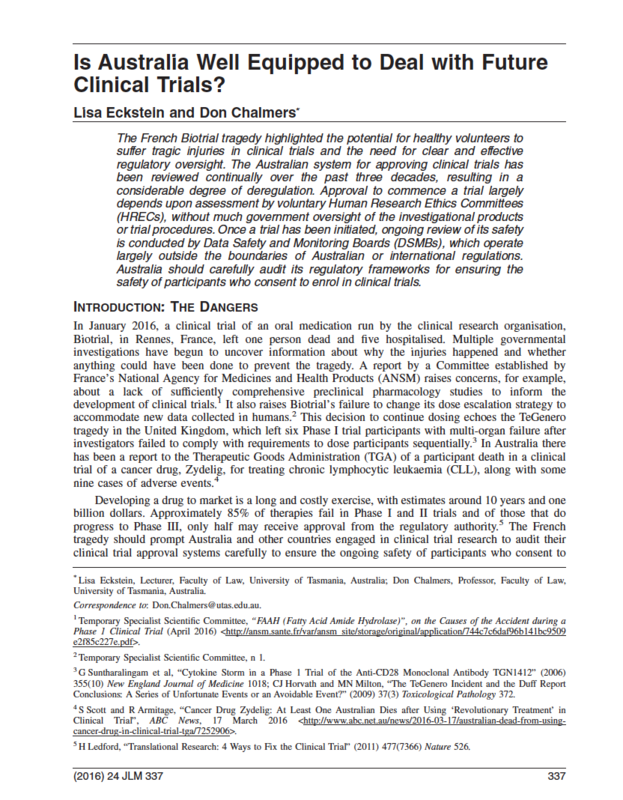 L Eckstein and Chalmers, ‘Is Australia Well Equipped to Deal with Future Clinical Trials? ‘ (2016) 24 Journal of Law and Medicine 337.